This is my blueprint for my Stickman and his tools: a skull sword, his armor, nunchucks, little daggers, and a spiked club. This is my real Stickman. 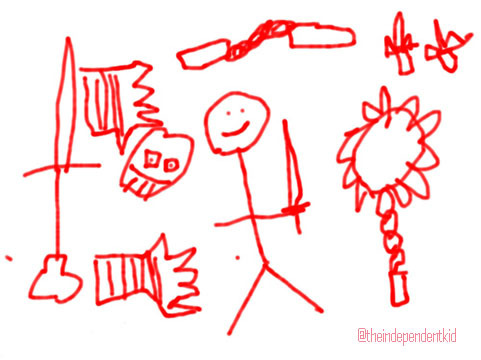 Did you know some Stickman drawings are used in video games and animation? My favorite app game is Draw A Stickman. 3. draw eyes and mouth on the face. 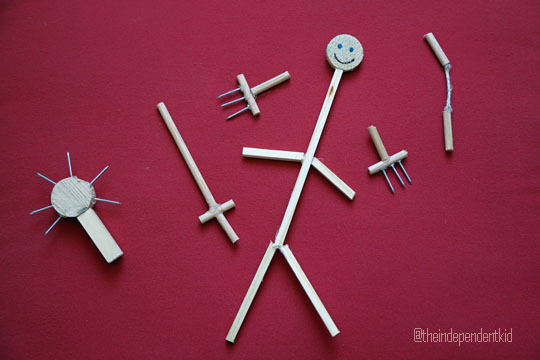 If you want to learn how to make a Stickman and his tools out of wooden dowels, please watch my video.